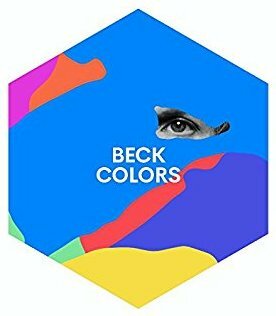 "I'm So Free" can be found on Beck's 2017 album, Colors. The song has three sections, each which get repeated. The first section is a rolling, almost glam, groove. Beck's done similar things before, but slower (like "Dandelion" for Charlotte Gainsbourg). The song than uses a quick rap section to build up drama, before exploding in to a heavy chorus. It's almost like a little run through history, from 70s glam to 80s rap to 90s rock. Beck then runs through all the sections again. There are some guest musicians on the song too. Leslie Feist, who did a Record Club with Beck in 2010, sings backup on the chorus. Beck talked about how he ran into coincidentally at lunch while recording, and liked the idea of getting her voice on such a heavy part of the song. Beck's keyboardist, Roger Joseph Manning Jr., is also credited on backup vocals. The drums are by Ilan Rubin, who is Nine Inch Nails' drummer (and in the band Angels & Airwaves). The verses are some of the closest to Beck's usual wordplay on Colors, mixing in some unexpected word choice ("textbook ephemeral," "token of sweet nothing") with his own style of idioms ("feel it out until you know it isn't meant for you"). These parts seem to be painting a portrait, a character bored and unaffected, completely lacking in regular connections. Is the "I'm so free now" that punctuates each verse sarcastic? Is this sort of freedom actually good for the soul? It seems not, as in the rap he reaches out from this "freedom," trying to be heard, trying to connect. In some of Beck's other songs (even on the same record), he uses "free" as the description of what it feels like to have found those connections (love, hope, etc.). Here, though, it's the other side, not being tied down by any of them ("nobody's going to keep me down").